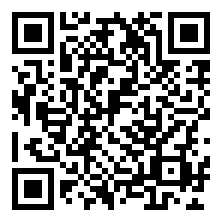 Whenever I provide a review or write up, it means that I have bought and paid for the item or admission costs myself. In the rare instance when items or admission are being provided free of charge or at a discount, I say so. This site is non-monetized therefore the opinions presented are truly free of influence. There are too many details as to how all this works to get into here, but if you are a veteran, I would recommend you check it out and sign up. 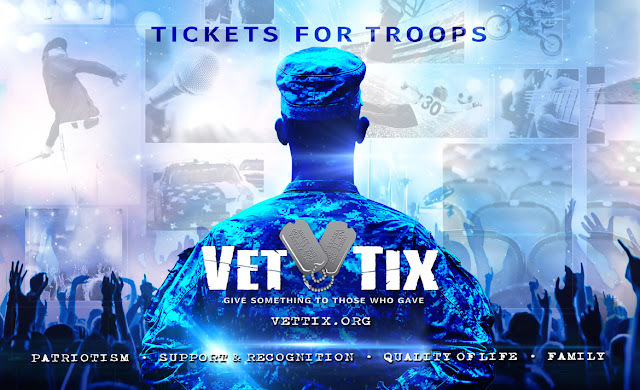 Short version: They go out and seek donations (and ask that you help), they have a fair way to make sure every Veteran gets a chance at what tickets are available and the manage the administration of the distribution of the tickets very well. I'm not entirely sure if you would if the performer listed as "with" on a concert poster is considered an opening act or not. But in my mind, if they are the first ones to appear on stage, they are indeed the opening act. 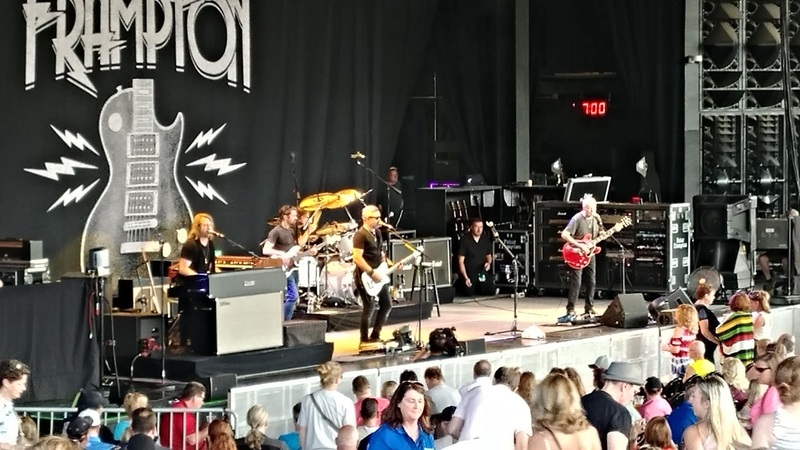 I almost saw Peter Frampton two years ago when he was touring with Lynyrd Skynyrd. However, it was the year Skynyrd canceled and rather than attending a concert with just Peter Frampton, I opted to return my tickets. Frampton did the show anyway and I heard he put on an excellent performance and even did covers of several Skynyrd tunes. Having seen a lot of groups from the 70s and 80s, I've come to except some slight degradations of talents and skills, but I have a feeling the show Frampton put on at this concert was very close to what I would've seen from him in the 70s. He opened the show with Something's Happening and then immediately moved on to Lying. It was evident he was having a good time; his face was an expression of pure joy as he performed. His voice was excellent and is playing matched it as well. 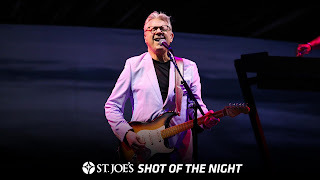 The temperature in the pavilion was over 90°, and it played against him getting the crowd fired up – – but he wiped the sweat off his face and kept playing to an appreciative audience and brought us all to point when we were ready to rock. Of course, he played all my favorites: Lines on My Face, Show Me the Way, Baby, I Love Your Way, and Do You Feel Like We Do. The tunes brought back great memories and took me back to when I first heard the Frampton Comes Alive album. Frampton indeed came alive and gave one of the best live performances I've ever seen. He is indeed a master, and he enjoys giving the crowd exactly what they want. Seeing a band perform or than once live, can sometimes be disappointing because you tend to compare one performance to the other. Also, having heard a set list once you really want to listen to it again? 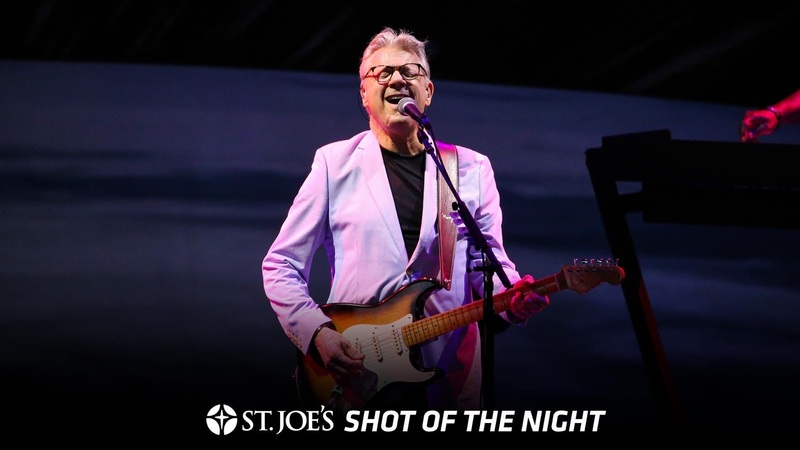 If the act is the Steve Miller Band, the answer is Yes you want to hear the setlist again – – every song is a winner. But even with the setlist being the same, they are not identical and Steve the band makes every performance unique, so it is impossible to simply compare two different concerts. I won't bore you with a list of the tunes he played which I liked, take a look at the song list on their greatest hits album and you know what I heard. by Joseph Wooten on keyboards, was a brief lesson Steve Miller gave about the triangle evolution of the blues. His theory was as the performers moved, the blues evolved-- forming a triangle from Mississippi Delta to Chicago (along with Detroit) and finally Texas. Having heard great blues from all those places and following his logic of the way employment drew the performers – – I agree with him. After the lesson, Peter Frampton came out, and the two of them performed a Freddie King cover of Same Old Blues which was awesome and only outdone by their duet on an Elmore James tune, Stranger Blues. I like Steve Miller for the SMB music I have come to love, and I like Peter Frampton for his mouth guitar music and dynamite guitar solos. But now having heard the two of them play the blues together, I want to know when they're going to release a blues album together. My favorite two songs tonight were The Joker and Fly Like an Eagle. Both songs allowed for featured solos from various members of the band but also took me on a mental journey back to the first time I heard each. The magic of music is when it is at its best when it can take you on an emotional and spiritual journey every single time you listen to it. The night ended with a two-song encore: Jungle Love and Jet Airliner, which both featured great solos and were a great way to end the night. 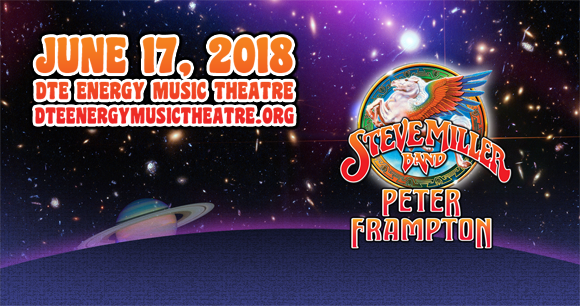 The Steve Miller Band will always be one of my favorites, and I will try to see them every time they come to town, but now I have to add Peter Frampton to the list of bands I'm willing to see more than once because once is just not enough. In the late 70s, Ann Waggoner, my high school the guitar teacher, selected a grouping of Paul Simon composed music to be presented at the annual spring concert. That bit of chance caused me to learn how to play half a dozen or so songs made famous by Simon & Garfunkel. 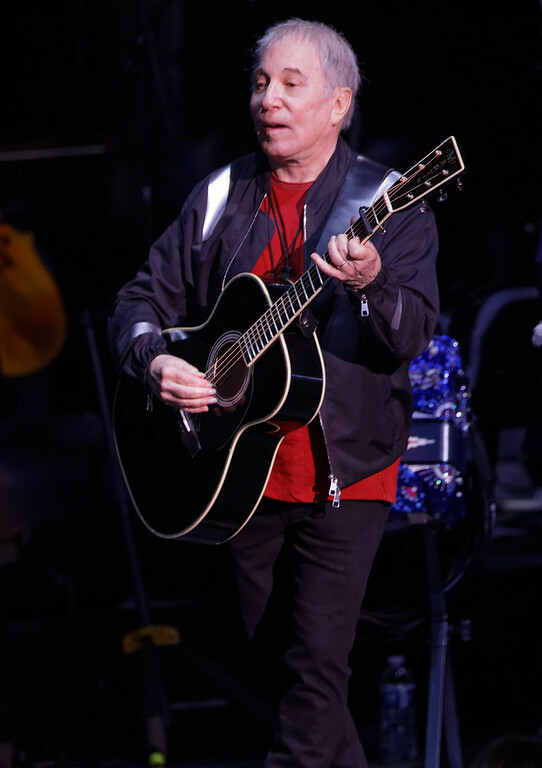 These were older songs, but Paul Simon had recently started his second career as a solo act, releasing his Still Crazy After All These Years album (and making a lot of appearances on Saturday Night Live). Songs from that period served to provide the soundtrack for the last of my high school years as well as my time in college and a few years beyond. 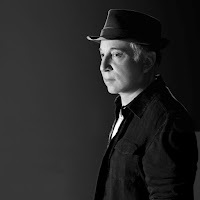 As time went by, Simon's music changed as he welcomed other musical influences into what he was composing affecting the types of songs and rhythms he produced. It was somewhere between the albums Graceland and The Rhythm of The Saints that Paul and I parted ways. My admiration for him was more as a songwriter than a performer, and I didn't relate to the newer music the same way. It was an amicable breakup because his songs remain a significant part of the soundtrack of my life. He was and is a great storyteller. Recently, when he announced his farewell tour, Homeward Bound, my attendance became a must. However, three minutes after tickets went on sale I was utterly heartbroken when I went online to find the better tickets were entirely gone. What upset me wasn’t their prior sale but those choice tickets were already back online for sale at three times the face value. So much for Ticketmaster's goal of making sure fans and not scalpers got a fair shot at tickets. Pissed off, I gave up and closed my laptop after typing up a blistering review of the ticket selling process. A few days later I was contacted by someone who had read what I wrote offering to sell me her tickets for the now all but sold out show. She wasn’t going to be able to attend and offered me her tickets at the face price – fan to fan. I quickly obliged with much gratitude. 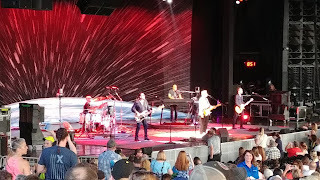 This was my first concert of the 2018 season at DTE Energy Music Theatre. I didn’t notice any massive changes to any of the facilities inside the venue, but this is also the largest crowd I’ve ever been part of at the facility. 15,000 seats is a lot of people. I didn’t have the best seats, or actually any seat, as the tickets were for the hilltop and not under the pavilion. The hill is not a bad place to see a concert there is generally more room than in the pavilion seats, on the hotter evening’s there’s a cool breeze, and once you get beyond the first 50 or 60 rows, you are watching the big screens and not the stage anyway. I placed my chairs on the last strip of grass the concrete walkway, but before the concert, there were three more rows of folks behind me. It was a full house. There was no opening act, but there was no need for one. The crowd was ready to listen, Paul was prepared to play, and the band was tight and ready to be heard. He started with America putting the audience on notice that his voice was better than ever and he was there to give a memorable show. He moved on to 50 Ways to Leave Your Lover. Realistically, both songs could be seen as a low-key way to open a show, but then this was a Paul Simon show, so they were perfect choices. Paul shifted gears and decades performing The Boy in the Bubble, Dazzling Blue, and That Was Your Mother. I admit I was unfamiliar with all three songs but found them enjoyable. He played Rewrite next, and in it, as an author, I found some new music and a story I could easily love. The rhythms picked up as he gave great performances of both Mother and Child Reunion and Me and Julio Down by the Schoolyard. I said before that I thought his voice sounded as strong as ever, and indeed it did throughout the show. He, like many other performers who are getting up in years, has started to morph some of the ways he sings to ensure he does not come off sounding bad. His song Rene and Georgette Magritte With Their Dog After the War has to have the most unusual title of any, having stolen it from a photograph. 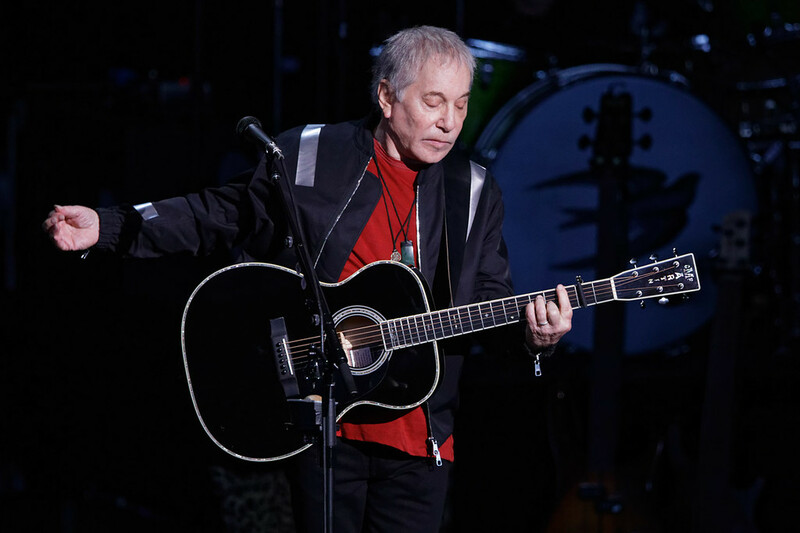 While still in the smaller tableau of musicians, he sang a semi-reggae version of Bridge Over Troubled Water which he said was the first time he had performed the song during the tour. I’d heard the story behind Wristband before hearing him perform it live. Love the story behind the song, I can only imagine what the bouncer feels like being immortalized for having locked the star out of his own concert for lack of a wristband (my man). The next four songs were more titles I was not familiar with, having been featured on albums I’d never heard. 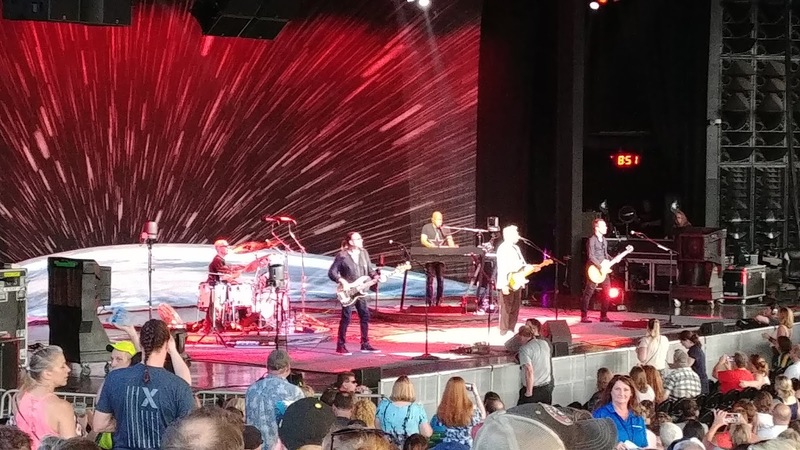 I really don’t think it’s a bad thing to walk into a concert and not know all the music, it gave me a chance to discover something new some of which I liked some of which I didn’t. It was somewhere in here Paul took a moment to talk about Dr. E.O. Wilson, his foundation, and book Half Earth. He spent all of 30 seconds and suggested people check out the book and its author. As activist statements during the middle of performances become more the norm, I am glad Paul was classy, civilized, and professional enough to keep it minimal and nonconfrontational. Paul moved back into more familiar music with the performance of You Can Call Me Al and Graceland. Many of his songs are favorites but the next two he performed, Still Crazy After All These Years and Late in the Evening, are both part of my life’s soundtrack that accent treasured memories. There can be nothing more satisfying than hearing music like that live for the first time. The first song of the encore was Homeward Bound, one that any former military member who has deployed can appreciate. From there he moved on to the only song I’m aware of which is also a trademark for a consumer product: Kodachrome. The Boxer, American Tune and The Sound of Silence rounded out the rest of the encore for what was one of the best concerts I’ve ever been to. 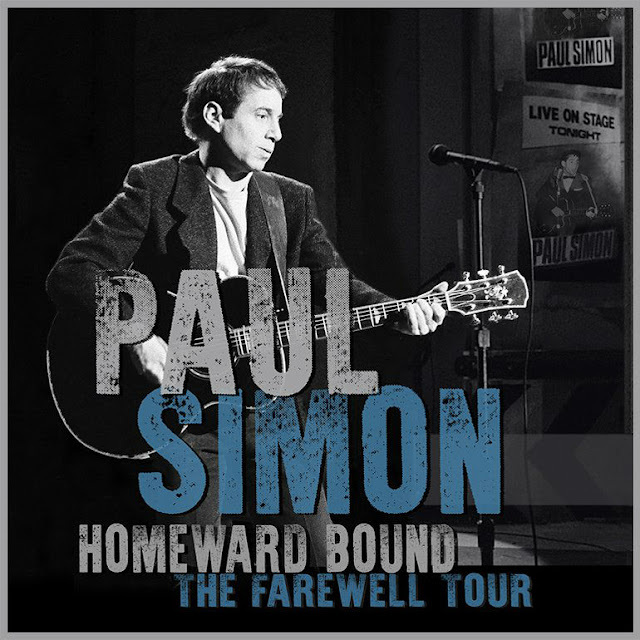 Paul had stated publicly he had mixed emotions about doing his final tour when he was still giving great performances. Having recently retired myself, I understand the feeling. Even though this may be the last live performance we see from the man, I think we will continue to hear new music from him for years to come. I hope so. If this tour comes to your city. GO! In the mid-80s, and I was deployed to Egypt working in cargo and passenger operations for the Air Force. Late one night I was sitting out on the flightline with a friend of mine waiting for cargo to be brought out so we could load a plane. I’m still unsure of why, but both of us had our guitars in the government vehicle, and when the loading operation was delayed, rather than going back into the ready area we remained at the darkened aircraft and took advantage of the time. Taking out our guitars, we sat on the end of the cargo deck of a C141 and started playing songs we usually performed when together. The overall feeling eerie, because most of the lights on the flightline were off for security reasons and with nothing going on, it was very still and quiet. After playing a bit, I asked my friend to teach me to play the instrumental opening to the song Homeward Bound, which I had heard him play before. After we practiced it several times together, he let me take the lead, and after I played those opening notes, we continued to play the rest, singing it in two-part harmony. It was a total blues moment feeling the pain of being away and wishing you were headed home. When we finished the song and the last note was still ringing -- the silence was broken by the sound of one-person clapping from down the flightline. It was quickly joined by several others and then a few cheers. Even though the flightline was empty of activity, there were still many Security Forces troops out there with us – sitting in the dark and feeling the melancholy of the song. It’s a memory I will always carry with me – – one which was possible only because of the master storyteller and songwriter Paul Simon. Looking at the date of my last entry, I realize how long it has been since I've written and posted something here. Usually, if there is any sort of pause, there is a valid reason. Last year, I reran several older postings while I was working on the final editing of From Within the Firebird's Nest. Earlier this year, I was dealing with care for an aging parent; the same issue a lot of people at my age are starting to encounter. But this last bit of silence had no basis in an outside cause, it was entirely internal. I do take the term depression lightly, so I will just say that I was feeling down about what I was seeing around me and it was causing me to lose faith. Without getting into an exact start date, because even that is politically charged, I am saddened by the ever-increasing divisiveness, racial discord, extreme ideological differences, or whatever you want to call it in our country. A large part of my reaction to this is because I can't personally identify with the situations being used as a basis for rationalizing the behavior. I was raised as a military brat, as with a vast majority of fellow military brats, the environment I was lived in was fully integrated on every level. That didn't mean we were just all thrown together for bits of time during the day-- we were fully immersed in a diverse culture as the norm rather than the exception. The person living on the other side of the wall in your government assigned duplex was more often than not a person of a different race, origin, religion, and background than you were. This forced closeness caused one remarkable thing to happen – – you were forced to get along with others because you were always in contact with others who differed from you. Tolerance was not something demanded it was required for social survival. All of this was long before the use of such terms as diversity and tolerance. To us, it was just the way we lived. As a result of this type of upbringing, and the many moves which occurred over the course of a lifetime, military brats are often the most adaptive people you could ever meet and also the least judgmental. The first time I became aware of differences in race was when I was required to go to a school off-base for the first time in Oklahoma. On the very first day of school, I was challenged by a group of local kids because the person I was hanging out with was of a different race and our friendship wasn't considered proper for their society. Too damn bad, he remained my best friend until I moved just before the ninth grade. After completing high school, and a couple years of college, I went into the Air Force which was another fully integrated society. In the Air Force, you didn't judge a person based on trivial crap like race or religion – you judged a person based on their abilities and those you felt could be relied upon. Because of the time, I went into the military, the 80s, it was not unusual to know someone in your unit or even in your dorm who had a different sexual preference. 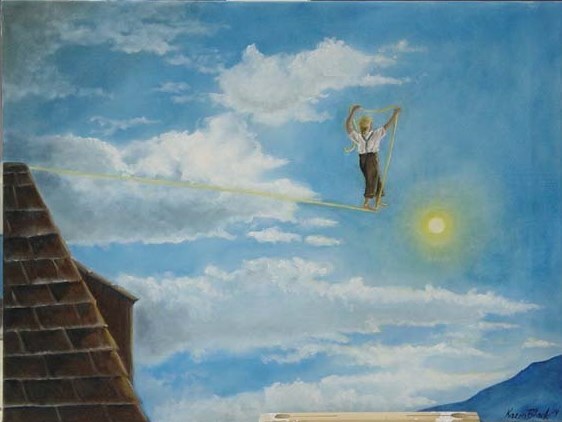 Even though it was against regulation, it was not a factor upon which most people judged others. If the person did their job well and was reliable, that was all you needed to accept them. Once I transitioned to the Reserve, I started to work for Civil Service and entered my third fully integrated society. There were some cracks in the structure of this one because some of the fellow civilians I worked with had never moved beyond the city in which they were born. As a result, they carried with them any prejudices they were raised with. But they were not allowed to bring those prejudices into the workplace. Not a perfect solution but it kept things running. I tell this bit of backstory because to understand where I am, you have to know where I came from. It is because of my personal history that I find much of what exists in the news to be thoroughly depressing. A side note: I do not rely on a single news source but require myself to use five different sources when developing my opinions. Purposely, I have chosen two of the news sources I disagree with, one from overseas, and two which are more in line with my own beliefs. This helps provide much-needed balance to what I take in, I am also careful to segregate news from opinion-based reporting. If you've checked out current news stories, you would be led to believe all of America is at each other's throats and we are on the verge of a violent internal Civil War for control of our nation's future. Everyone seems to be accusing anyone who disagrees of being a something-ist or filled with something-ism. Words are being weaponized and vocabulary condemned or forbidden regardless of the user’s intent, meaning or context. Every speaker has a death grip on their viewpoint as being protected by the First Amendment while they usually have no idea what the amendment actually says. Freedom of expression does not free you from responsibility for what you said or the right of another person to dissent. While I have enough remaining optimism to believe no news reporting agency is reporting falsehoods purposely, I do think some agencies are guilty of intentionally slanting stories to a particular viewpoint and omitting stories that make the other side look good. Even with my attempt at balance, every day appeared to me to be of more and more concern for my nation's future. Hope: Without visible support going to a destination unseen. Then about two weeks ago, I had to take a trip down to check on my Dad, and as a result, I got out of my own sphere and into America itself. I drove across Indiana, Georgia, Kentucky, Michigan, North Carolina, South Carolina, and Tennessee and even though it isn't everywhere in the country, it was a pretty good sampling. What I saw brought back my optimism. At several of the gas stations where I stopped, people held the door and greeted one another. Seems minor doesn't it? The action is – but the meaning behind it isn't. That deeper meaning was that both people saw each other as human beings and worthy of common courtesy. Isn't that the basis of society? Accepting another person as a fellow human being and therefore worthy of your best? In restaurants, I encountered people of differing races treating each other politely regardless of which side of the dinner table they were on. Sure, people can be paid to be polite, but it always shows through as the basis for their action. I observed people earnestly treating each other decently. A few times, I saw people pulled off to the side of the road due to vehicle breakdown. In every instance, someone else had stopped to help them. This is someone going out of their way to help someone they don't know and someone they will probably never encounter again. Being selfless – – the very essence of what allows communities to thrive and prosper. I also saw law enforcement protecting our populace. Even though they occasionally had pulled a car over for some infraction, at no point in time did I hear about the officer or the person who got a ticket attempting to be violent to each other. Mutual respect for the law, isn't that also a basis of society? Aside from observing, I also participated. I greeted and smiled at people when I encountered them and received the same friendliness in return. I acted respectfully to those behind the counter and those serving me -- and received same. While stuck in a waiting room, I had a lengthy conversation with a gentleman who was of a different race but who was sharing the waiting experience with me. We became compatriots of the shared experience even if just a little while. My point is that the divisions which are being screamed about on a daily basis are not as cavernous or universal as the media would have us believe. There are opposing sides out there, and there are people who are being mistreated and have a valid claim about mistreatment. 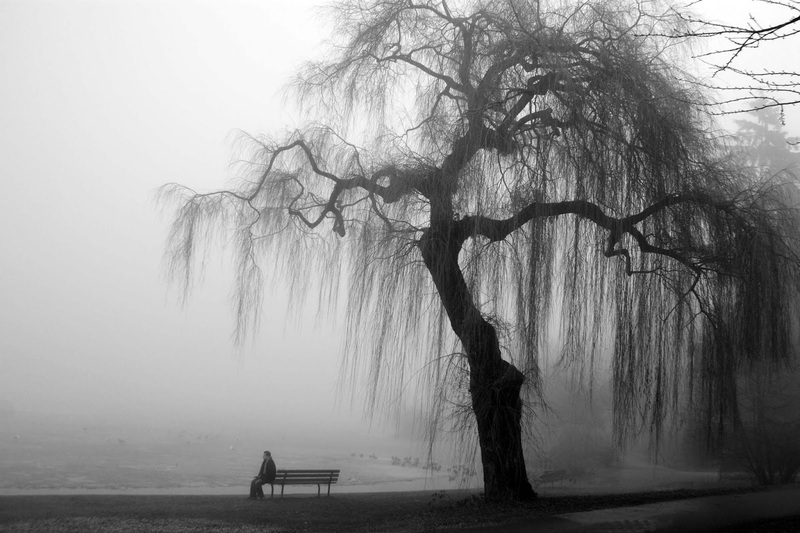 But for the most part, I don't think things are as sad or as hopeless as are being presented. Finally, I was blessed with the birth of my 10th grandchild. She is healthy and beautiful. -- and another contributor to the return of my optimism about the future. So, I am back at work on my latest novel, and I am again writing my blog. To paraphrase John Steinbeck, my world is once again spinning in greased grooves.